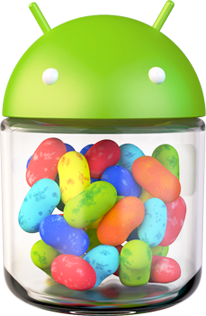 Android is marking its fourth birthday this week and from where we’re sitting, the little green guy is looking pretty strong so far. As noted in our source story from PCWorld, the world’s first Androidphone was released on Sept. 23, 2008. That landmark device, theT-Mobile G1, was launched more than a year after the first iPhone wasborn at Apple. A lot has happened in the four years since Android was unleashed on theworld. Back when Android was launched in 2008 “most consumers still hadregular cell phones instead of smartphones,Palm OS was still a contender, Research in Motion was on a BlackBerryCurve-fuelled and Pearl-fuelled upswing, and there was no such thing asan iPad,” PC Worldrecalls. And now? We’ve got Samsung’s Android phones giving iPhone a run fortheir money (court cases notwithstanding), Android tablets launchingleft and right, and Android as the overall leader in smartphone salesoperating systems worldwide, including Canada. Looking ahead to the next few years, Android’s challenges will includeSamsung’s patent case with Apple, the need to develop more Androidtablet apps, and adding more upgraded features to Android smartphonesin lightof what’s just been added to iPhone 5, PC World suggests.